Page Updated:- Sunday, 23 December, 2018. This one sent to me by Mark Whyman who suggests it may be a WW2 shot. 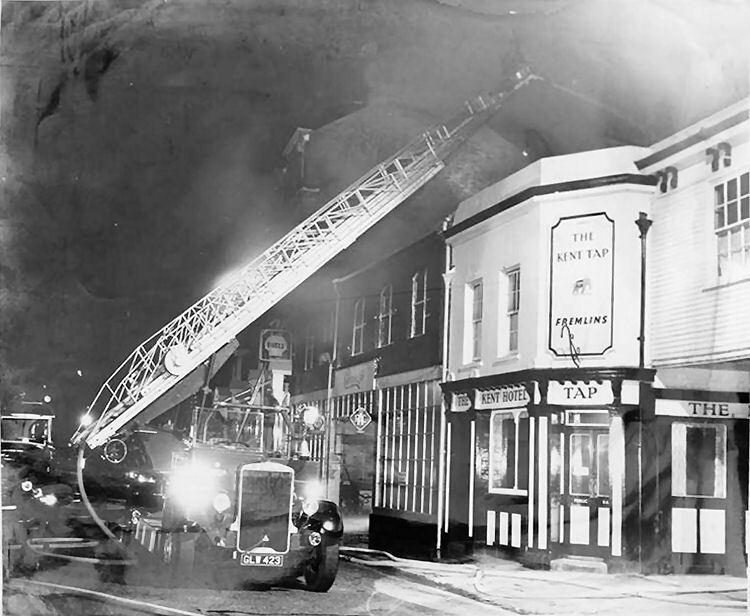 Peter Moynahan informs me that it is the Tap to the Kent Hotel in Sandgate which was sandwiched between the "Kent Hotel" and Caffyns garage.